Yesterday The Phillips Collection staff and volunteers were treated to a preview of the much-anticipated Georges Braque and the Cubist Still Life, 1928–1945 exhibition. Led by Phillips Assistant Curator Renée Maurer, we explored the works chronologically in an effort to understand the artist’s stylistic transitions in the context of time and history. Braque painted during one of the most tumultuous time periods in history and, as an artist living and working in France, this meant much upheaval in his life and work. 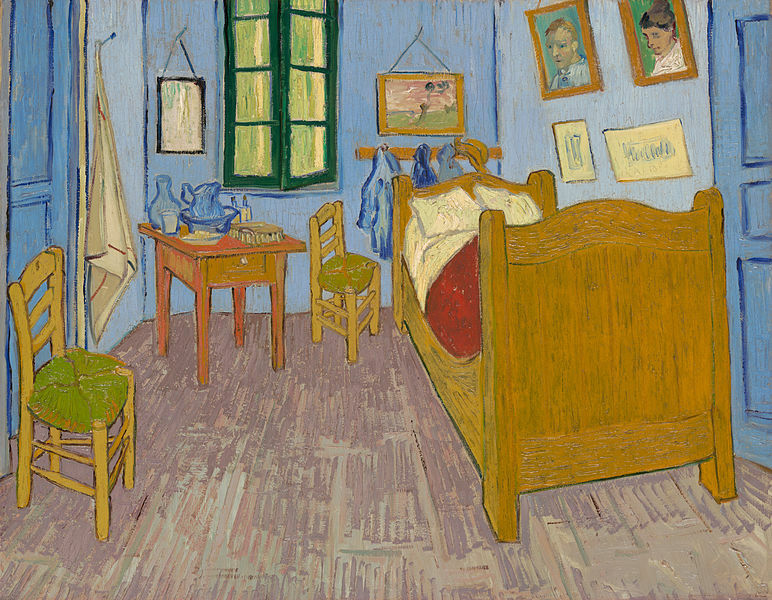 Nevertheless, he was a methodical artist, and often kept works in his studio for years, retouching them every now and then until finally presenting the finished product a decade or more after he started. But what I find most interesting about Braque is his artistic process: he ground and made his own pigments. Trained as a house painter and decorator, he began to experiment more with texture in the 1930s. Braque would use a comb to create the illusion of wood grain in his paintings by dragging it through the wet paint. 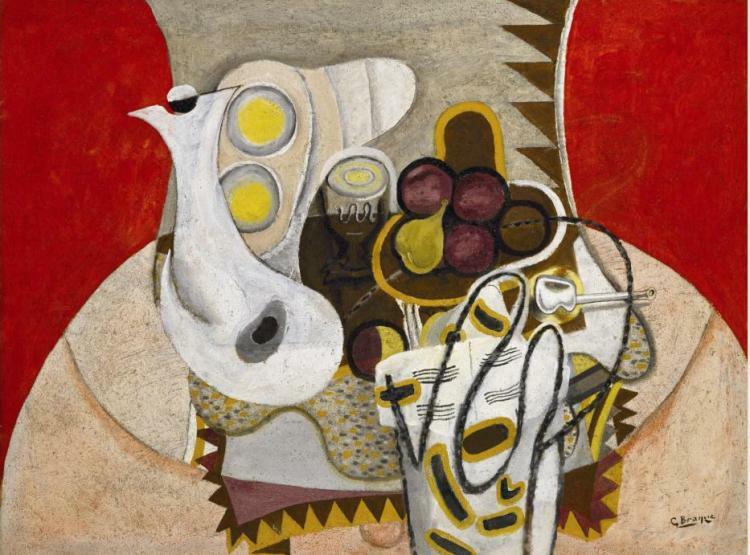 In The Pink Tablecloth (1933), on loan from the Chrysler Museum of Art, Braque places equal emphasis on color and texture by adding sand and powdered quartz to the white ground, giving the painting a three-dimensional feel. Just looking at it I felt as if I could touch it too. I could imagine the feel of the coarse floor beneath my bare feet. Being surrounded by so many Braque paintings (there are 44 on view!) was like being in a surreal, dream-like state. His juxtaposition of color and texture implores the viewer to not just see the work but to experience it, to live it.